The initial version of the Aragon Network whitepaper was published over a year ago. Since then we have made tremendous progress in making Decentralized Autonomous Organizations a reality. The work we have done on Aragon Core and the related development tools will make it possible for anyone to easily create a blockchain-native organization. With the tools we provide they can be a part of catalyzing this Cambrian explosionof different approaches to organizational structures and governance solutions. These new types of organizations will require a new type of jurisdiction for them to operate on. A digital jurisdiction that is designed specifically to meet the needs of blockchain-native entities that don't exist in any one place or represent any specific traditional legal entity. As we have continued on our journey thinking about the challenges of creating a jurisdiction designed to be inclusive of DAOs and other pseudoanynomous entities, the economics and mechanisms in the original whitepaper have continued to evolve. Thus far, this progression has mostly been loose thoughts scattered among various chats and in-person conversations. But as development of the underlying infrastructure to support the network is maturing, the need for formalizing how the Aragon Network will operate grows. As of today, we are publicly sharing the evolution of these ideas, starting with a draft of the new whitepaper we have made public on GitHub. Using GitHub allows the paper to continue to evolve and be refined as we research, prototype, and test the ideas and assumptions included in this new version. Please do not hesitate to participate in the discussions or to contribute to the paper by opening issues or submitting pull requests in the GitHub repository. Just be sure to read and follow our contribution guidelines. Aragon has prioritized being a transparent and community governed project, and this is just another conscious choice to actively engage and include our community in every step of the project, before the Network has even been launched. We hope that this paper will help clarify some of the questions our community has had about the Network, about how the organizations created using Aragon Core will interact with the Network, how ANT will be used, and hopefully this will also inspire a whole new set of questions. With that in mind, and recognizing the fact that Github Issues and Pull Requests are great if there is narrow and specific issue related to the repository, but are not ideal for more general discussions. 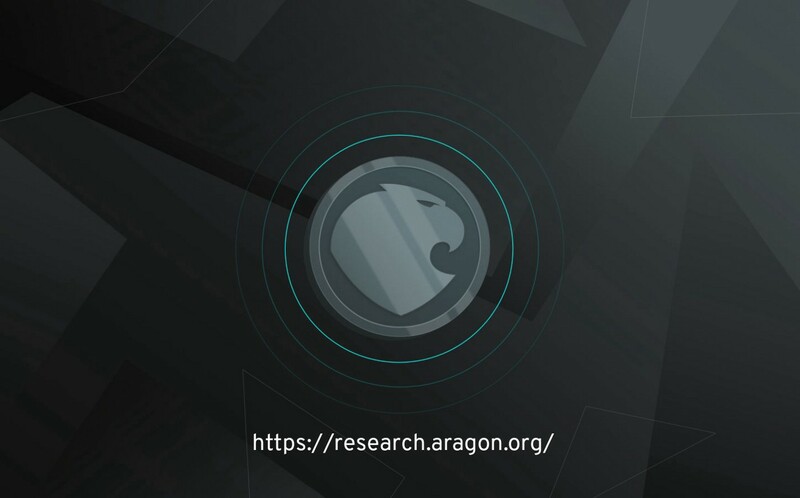 We are happy to also be launching a new forum specifically to engage in long-form discussions related to Aragon's research efforts including governance, economics, and token engineering. Stop by and say hello! More posts by Luke Duncan.